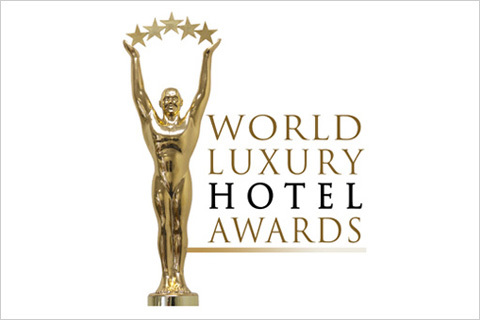 Another remarkable recognition for Puglia at the 11th Annual World Luxury Hotel Awards Winners for 2017, the recognized global organization providing luxury hotels with recognition for their world class facilities and service excellence provided to guests. Two of the most prestigious hotel in the region have been awarded in the category “Country Winners” at the competition held in Switzerland on December 2nd, along with 21 other Italian properties. Borgo Egnazia, already selected as the best Virtuoso hotel worldwide, has collected 3 award in the categories Luxury Architecture Design Hotel, Luxury Golf Resort and Luxury Hotel; Masseria San Domenico won the category Luxury Boutique Hotel. Ask to be hosted in one of these amazing properties while attending our tours in 2018! Contact us to get inspired, we would love to hear from you. Receive travel news, insights and special offers. All prices shown on our site are in Eur per person based on two people traveling together using a twin / double room. • accommodation with private bath and / or shower and toilet for a number of nights indicated in the “itinerary in brief”. • meals as indicated in the “itinerary in brief”. If dinner is included, there is a 2-4-course meal, often with regional specialties. Drinks are not included (except for breakfast and/or where otherwise noted). • additional services, such as transport of luggages to the various structures in the itineraries by foot or by bicycle; rental bicycles where ilcuded; on-site service and professional guidance. • complete travel documentation, including specific indications in the case of stays that include routes on foot or by bike and a road map for routes with car hire without a guide. Our goal is to make the travel itinerary as flexible and suited to your requirements. Since every booking is accepted individually, we give you the opportunity, for most of our proposals, to choose the mode of travel, the starting point and the path that you feel most appropriate; our staff will be happy to provide assistance and advice. We offer a personal travel insurance policy specifically designed for our itineraries made by Columbus Travel Insurance Services Limited, whose coverage is among the castes among those proposed on the market. In addition to medical care, the policy provides a guarantee for the cancellation and trip interruption for many causes. In the case of routes on foot or by bicycle, the policy also provides coverage in the event of incapacity due to illness or injury. We believe that the coverage of an insurance policy is essential: in case you decide not to buy our insurance, we require you to provide us the details of your alternative policy (insurer, policy number and phone number of a medical emergency) in order to provide immediate assistance in case of need during your stay. In this case, we ask you to see if your insurance coverage is at least equivalent to our policy and that is adequate to the present mode of stays in our proposals. We do not accept liability for damage, loss or expense additional costs caused by the lack of the above. A supplement is needed for individual travelers. Since our prices are based on two people occupying the same room, we may need to apply a surcharge for single travelers, who will care to point out in the booking process.